No Need to Replace your Grinding Sliding Door, One Finger Experience guaranteed 12 Month Guarantee on your sliding door repair and maintenance track and rollers. No call Out Fee. 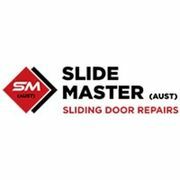 Slide Master Aust Mobile Technicians Are Fully Stocked and Trained. Only best part used. On average, sliding door repairs will cost you anywhere from $149 up to $ 269 + GST depending on the door problem. Sometimes something simple-perhaps the track is bend or rollers need to be aligned or changed if the problem is more complex- say new 404 stainless steel track and wheel carriage totally rusted and rollers damage you can budged on the high end of the above range or more. Rate and review Slide Master (Aust) in Wangara, Western Australia, Australia! Share your experiences at Slide Master (Aust) with your friends or discover more Contractors in Wangara, Western Australia, Australia.